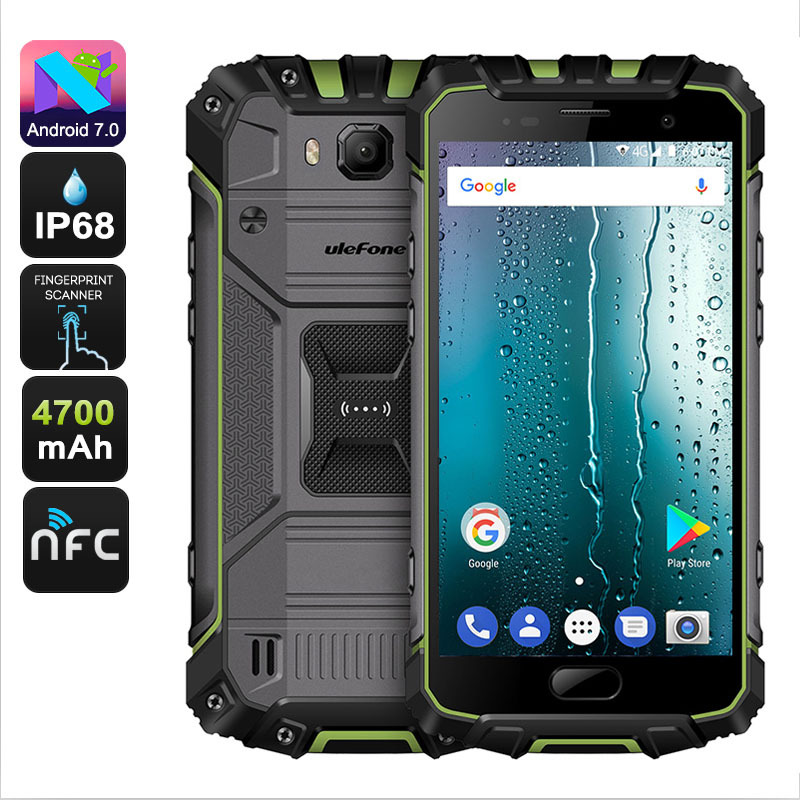 Successfully Added Ulefone Armor 2S Android Phone - Quad-Core CPU, 2GB RAM, Android 7.0, 5-Inch FHD Display, Dual-IMEI, 4G (Green) to your Shopping Cart. Always stay connected with the Ulefone Armor 2S Android phone. This cheap smartphone from China treats you to Dual-IMEI numbers. Thanks to this, you’ll be able to slide in two SIM cards and stay connected to both at the same time. From now on, you can always be reached on two phone numbers while using merely one device. The Android phone furthermore treats you to WiFi and 4G connectivity. This means that you’ll always be able to browse the web no matter where you’re headed next. With its Android 7.0 operating system, this smartphone delivers a lag free user experience. It comes packed with a powerful 4700mAh battery for multiple hours’ worth of continuous usage time. The Ulefone Armor 2S smartphone comes with a beautiful 5-Inch display that delivers stunning visuals in FHD resolutions. This makes your Android phone perfect for watching movies and playing games. Worrying about storage space will be an issue of the past thanks to the phone’s 16GB ROM and 32GB SD card support. With its Quad-Core processor and 2GB RAM, it sets forth a powerful performance that lets you tackle the latest software features available. Wither you’re into games, movies, Apps or taking pictures - this Android phone is sure to meet all your demands. This Android smartphone comes with a 12 months warranty, brought to you by the leader in electronic devices as well as wholesale cell phones..